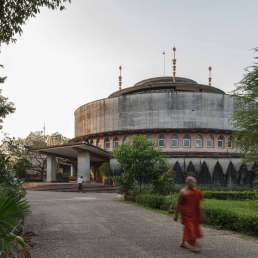 This large, low-rise complex stands on the northeastern edge of the Secretariat. Built from red bricks, the Government Press’ ornaments were cast from concrete—instead of the more usual stone —as a cost-cutting measure. 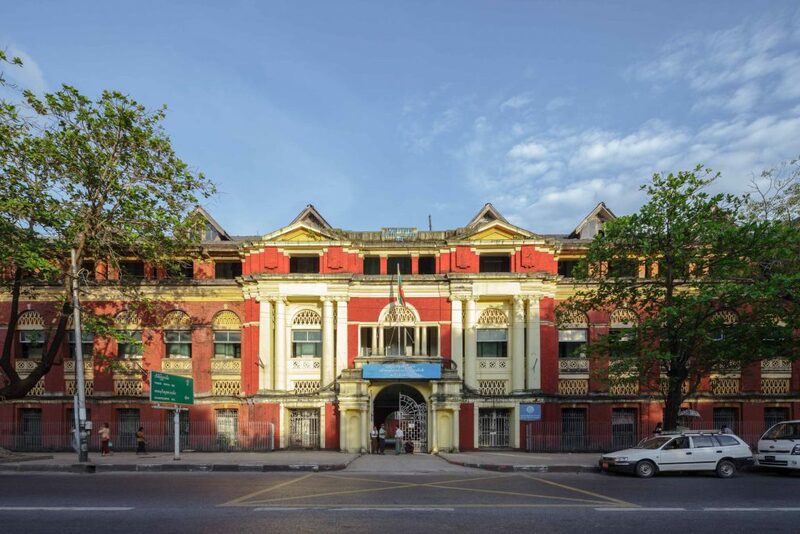 The Secretariat-facing wing, on Thein Phyu Road, features an elegant entrance with Greek columns. Note the continuous loggia across the width of the second floor. 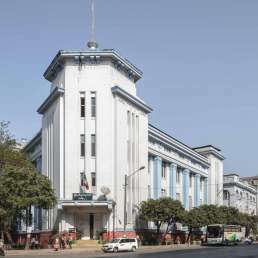 At first, the building was a distribution point for official publications arriving from India. Soon after, printing facilities arrived here to produce colonial gazettes and journals. In these publications, the British documented their prized possessions and announced the latest news and official acts. By 1962, 1,300 staff were squeezing into the building. Many travelled abroad to learn the latest printing techniques and worked here with the latest imported machinery. 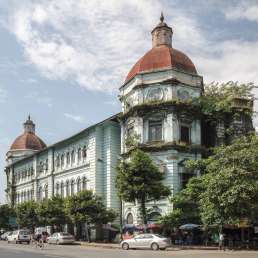 The building later became known as the Printing and Publishing Enterprise, which the Ministry of Information still runs today. 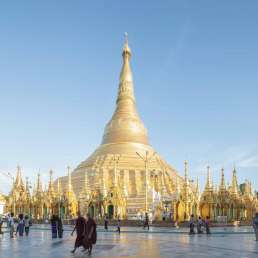 It continued to print gazettes and other official publications until 2005, when the facilities, like the rest of the government, moved to Naypyidaw. 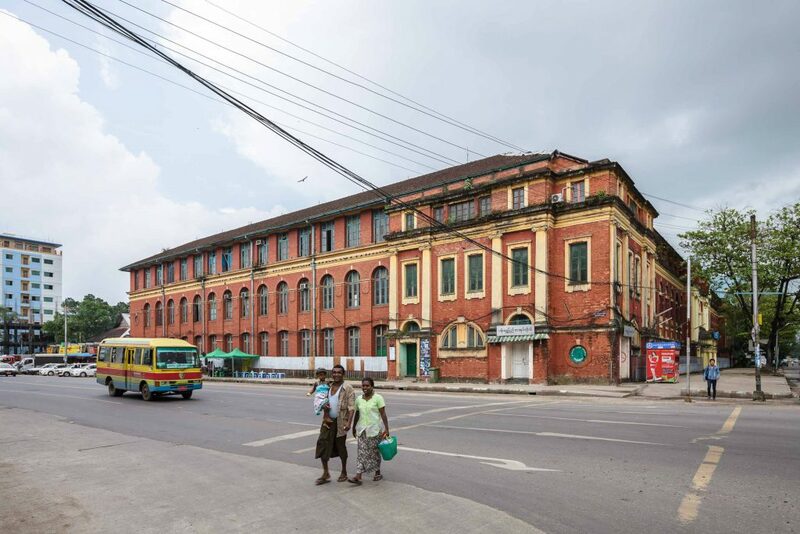 Like many former government facilities in Yangon today, the Printing and Publishing Enterprise is now mostly vacant. 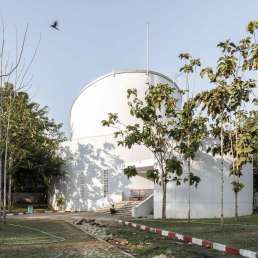 Ideas for future use include a public library—and fittingly, the Myanmar Libraries Foundation already have their offices here.